Do you want to use Snapseed on a Windows or Mac PC? Don’t worry anymore. In this article, we will provide you with some simple steps to download and install Snapseed on Windows PC. Snapseed is one of the most feature-rich photo editing application that can be used to produce professional results. 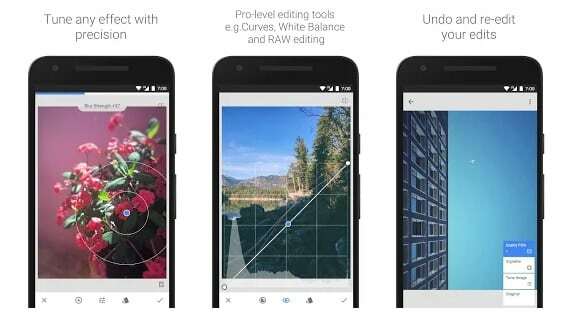 Unlike, other capable photo-editing applications Snapseed is free to use, and Google regularly updates it. Well, if you are a Snapseed user and want to use this reliable photo-editing application on your PC, you are reading the right article. So here’s how you easily download and install Snapseed for Windows PC. How To Install Snapseed For Windows PC And MacOS? As of now, there is no official application or program of Snapseed developed for Windows PC. Consequently, there’s only one method for installing Android apps and games on Windows or MacOS, and i.e. using an Android emulator. Bluestacks 4 is possibly the best well-optimized Android emulator that performs as an Android phone. So here’s how you can download and install Snapseed for Windows. Now directly download and install Snapseed from Google Play Store. The application will install in a few minutes. As mentioned earlier, Snapseed is a feature-rich photo-editing application. Snapseed boasts a good collection of professional grade photo-editing tools like curves, Healing, Brush, Structure, HDR, Perspective, and much more. Snapseed is one among many few applications that can be used to edit RAW DNG files. Additionally, Snapseed also allows users to save their edits and use them on other photos. So this was a simple guide on how to download and install Snapseed for PC. Do share your personal favorite photo-editing application in the comments section below.